STOCKO, with its wide range of carefully-matched products, has for many decades stood for guaranteed quality and performance right across the industrial sector. The new challenges that we willingly tackle every day can involve anything from our constant efforts to adapt to ever-changing technical standards to our intensive endeavours in the environmental field. But our main aim is always to meet the individual needs of our customers, for which the provision of solutions constitutes an important part of everything that we do. Timely intervention and targeted commitment are what have always marked us out as a reliable partner in this respect. 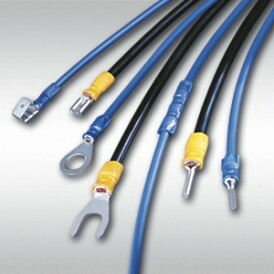 Our classic areas of activity, such as the construction of control systems or switchgear cabinets, are worth mentioning as examples of our constant readiness to deal with change, as are the many other industrial applications that make use of our connector systems and crimp contacts. We are therefore highly confident, for these and other reasons, of being able to continue over the coming years to meet the challenges posed by customer-specific needs and new applications.